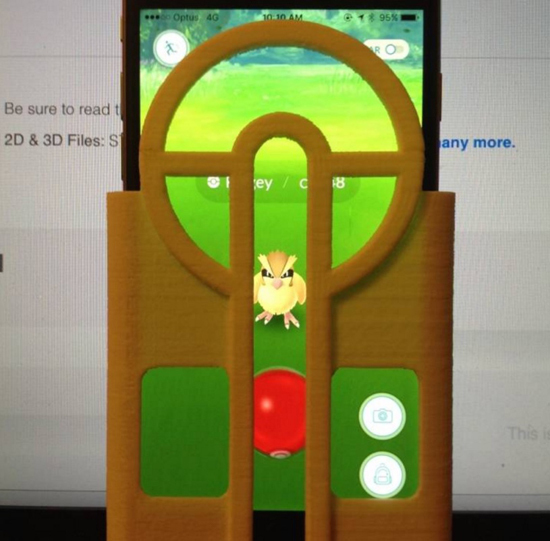 This 3D printed Pokemon GO screen cover was designed by Jon Cleaver it fits an iPhone 6 or 6s. Put it on your phone to line up perfectly with each Pokeball and Pokemon. It creates rails for your fingertip to follow and throw the ball perfectly. All you have to do is slide your finger up and your ball will travel in a straight line. Jon Cleaver has shared his 3D files here on My Mini Factory so you can be downloaded for free and make your own Pokemon GO screen cover. "Can’t quite get that perfect throw? Frustrated when countless pokeballs randomly fly sideways? Worry no longer! This 3D printable Pokeball aimer ensures your finger never goes astray. Simply slip your iPhone into the case, give it a flick, and you’ll be catching Pokemon with ease."